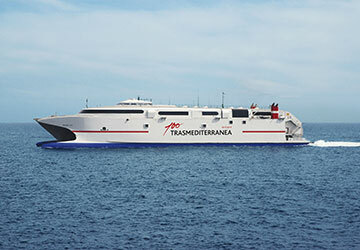 The Ceuta Algeciras ferry route connects Spain with Spain and is currently operated by 3 ferry companies. 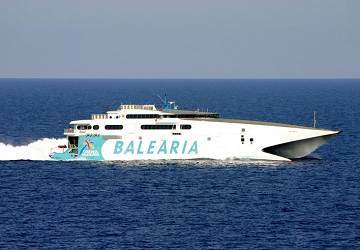 Balearia operate their crossing up to 10 times per day, Trasmediterranea 5 times per day & the FRS service is available up to 5 times per day. 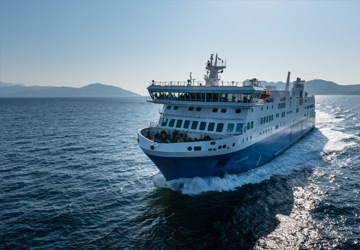 There are a combined 20 sailings available per day on the Ceuta Algeciras crossing between Spain and Spain and with 3 ferry companies on offer it is advisable to compare all to make sure you get the best fare at the time that you want to travel. Prices shown represent the average one way price paid by our customers. 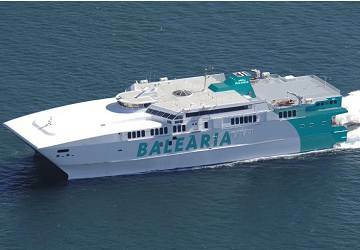 The most common booking on the Ceuta Algeciras route is a car and 2 passengers. Night and day difference with Almeria. I now always go with Balearia. Just perfect!!!! I didn't notice any delay. The crossing was pleasant. 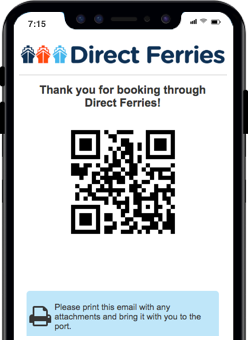 "Monthly trip between two seas "
I live 3 weeks a month in Morocco and it is a problem having to go to Ceuta to buy the tickets since most of the time I am based in Marbella and Tetouan due to my job. So, I discovered this wonderful company that sells tickets at excellent prices and makes it easy to buy them online. Really grateful. Amparo Shalome. An excellent crossing in every way. 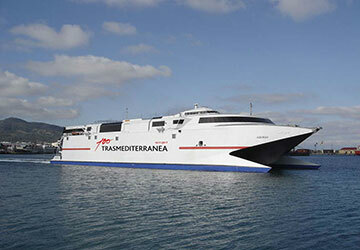 "Well, departure from Ceuta with delay"
A very clean, prompt and efficient ferry. But remember if coming from Morocco it takes time to cross the border and Cueta operates on Spanish time (CEST). The Spanish autonomous city of Ceuta is located on the north coast of Africa and shares a border with Morocco. The city is separated from Spain by the Strait of Gibralta and is located along the boundary between the Mediterranean Sea and the Atlantic Ocean. Visitor attractions in the city include the Royal Walls which are a system of coastal defences and the Mediterranean Maritime Park which covers an area of some 56,000 sq. m and is home to two salt water lakes, solariums and gardens. In the middle of the park there is a castle which was inspired by the city walls of Ceuta. The park also contains a casino, restaurant and nightclub with a marina located alongside the park. 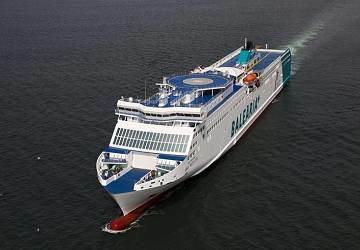 The city's port receives a large number of ferries each day, mostly from Algeciras in Andalucia in the south of Spain. There is a bus service throughout the city which does not pass into neighbouring Morocco. The Spanish port city of Algeciras is located in the south of the country and lies on the shores of the Bay of Gibralta. The city has a long maritime history but today is a modern and cosmopolitan city that is aided by its important position between two continents (Europe and Africa) and its large port. The first settlement on the site of the present city was the Roman town of Iulia Traducta, from the 1st century AD. Later in 711, Tarik founded Al-Yazirat-al-Hadra (Green Island) on the Roma ruins. There are a number of popular visitor attractions and important monuments at Plaza Alta in the city, including the Parochial Church of Nuestra Senora de la Palma and the small Chapel of Nuestra Senora de Europa. The city's architecture is quite lovely and good examples include the City Hall, the Market Place, the Chapel of Santo Cristo de la Alameda and the Chapel of San Anton. The city's port is located around 20 km to the north east of Tarifa on the Rio de la Miel, Europe's most southerly river. Visitors travelling out of the port should keep an eye open for wales and dolphins which can sometimes be seen in the waters outside the port.